Home of one of the oldest swakara studs in Namibia - since 1946. 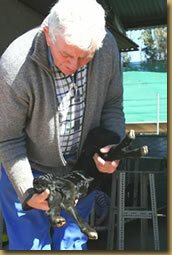 We farm with black, white, grey and brown swakara in stud form as well as in commercial flock form. 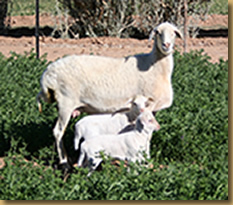 Swakara is still the main farming activity with round about 1200 active breeding swakara ewes and many champions and record holders were bred out of the Lovedale stud. 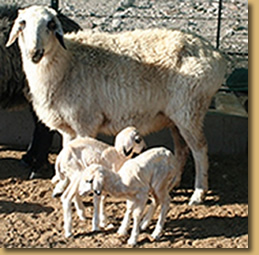 The latest new world record of N$94 000.00 were paid for a white swakara ram from Lovedale at the Annual swakara Elite Auction on 20 September 2012. We try to improve the quality of our stud year after year and to satisfy all our customers. 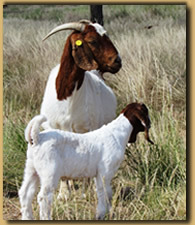 Plus minus 50 swakara rams are presented on ram auctions yearly in April, July and September. The swakara stud has been in the family and has been improved for three generations. 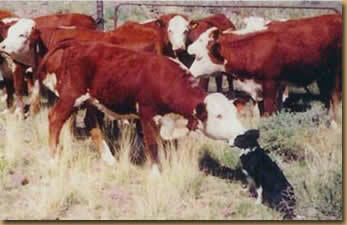 Other livestock studs include Jersey cattle (for dairy). Commercial livestock farming consist of White Dorper (mutton), Persian sheep (mutton) and Hereford/Sussex cattle (Beef production). All animals are free ranch farming in 74 camps. Only FANMEAT (Farm Assured Namibian Meat) are produced which is free from growth stimulants, antibiotics and feeding of animal byproducts is prohibed, as prescribed by the EU for export purposes. Lovedale is the oldest commercial farm in Namibia still in the same family (since 1854) and is a mountainous 12924 ha big. The farm was a piece of land officially bought in 1895 for 1296 Pound Sterling from the Nama Captain and his family who used to live there at that time. From then on Lovedale went from generation to generation for six generations up to now. The average altitude is 1600m above sea level and temperatures range from -15 �C below to 36 �C above. Rainfall is between December and April with an average of 180mm and between May and September with an average of 10mm winter rain. Snow occur from time to time during the winter. Knowledge and experience are therefor shared with young and new farmers as well as tourists who are interested in Namibian farming conditions. In short: "We try to help where we can to help in building a better future".